Catch it while you can! Don’t miss London’s sure-fire hit Chicago before it leaves town on 5 January 2019. Starring Caroline Flack, winner of BBC’s Strictly Come Dancing and host of Love Island, the “sexiest musical ever” (Metro) also stars Todrick Hall of American Idol and RuPaul’s Drag Race. 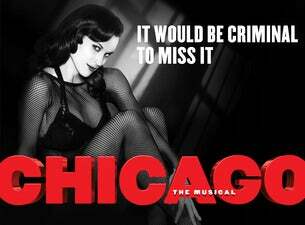 With the original Broadway choreography by Ann Reinking in the style of Bob Fosse and a sizzling score featuring the classic songs Razzle Dazzle, Cell Block Tango and All That Jazz, Chicago is so good it should be illegal.